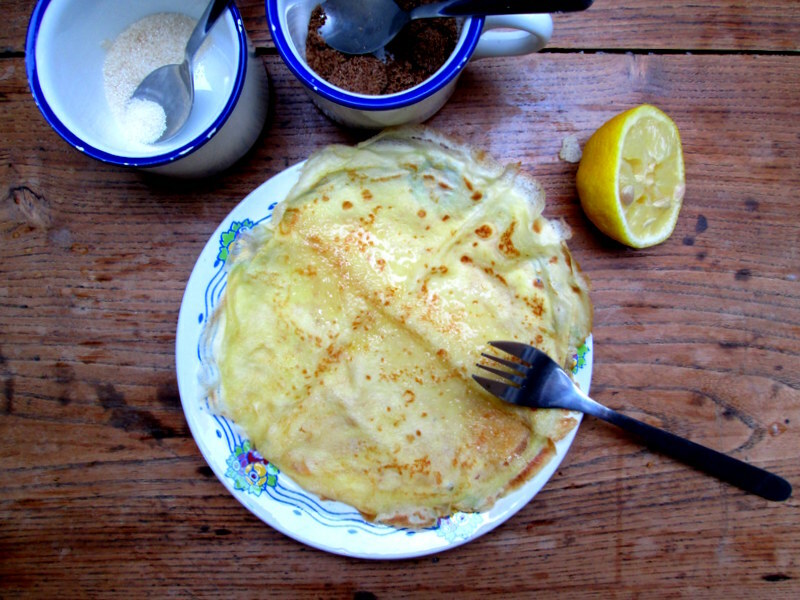 My mum used to make these thin pancakes for my brother and me when we were kids, sometimes we’d have pancake dinners, and it was awesome! We’d usually have them with either brown sugar or sugar and a squeeze of lemon juice. She’d make a big batch, folding them with the spatula and placing them in a tin foil-covered dish in the oven as she made them, and then we’d all dig in. If there were any left over, she’d sprinkle them with sugar and roll them up in tin foil for us to bring in our school lunch. I still do this now (for work instead of school!) whenever I make a batch. 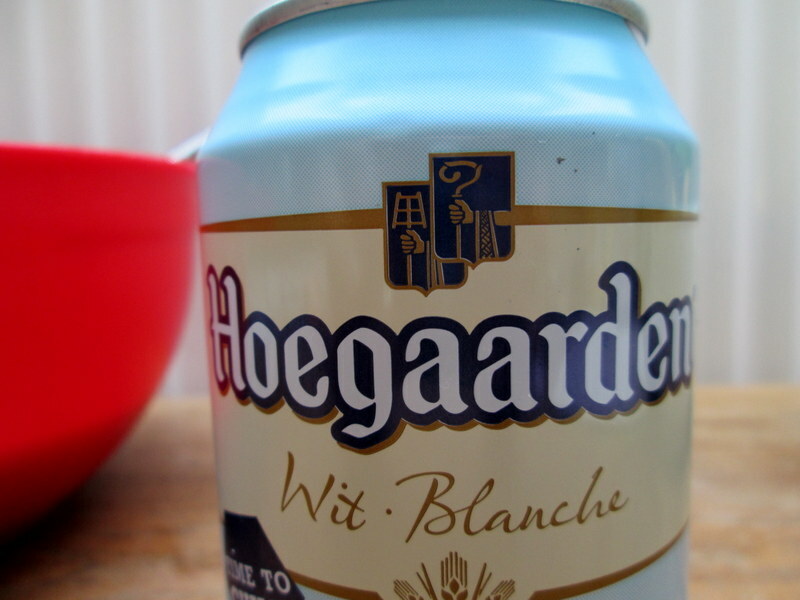 I’ve had a slightly challenging week, and, to top it off, I’m having a sliiightly challenging Sunday. And I’m trying really, really hard not to moan about it, because it isn’t a big deal, in the grand scheme of things, to be woken up early by your neighbour’s alarm clock on a Sunday, an alarm that will keep buzzing and buzzing for over an hour until you’re guaranteed not to be able to fall back asleep; or to then try to console yourself with pancakes and a long bath, only to discover that the water to your building has been shut off for some reason – making it rather difficult to take a long bath, or to make pancakes. Well, I’m making the pancakes anyway, sod it. 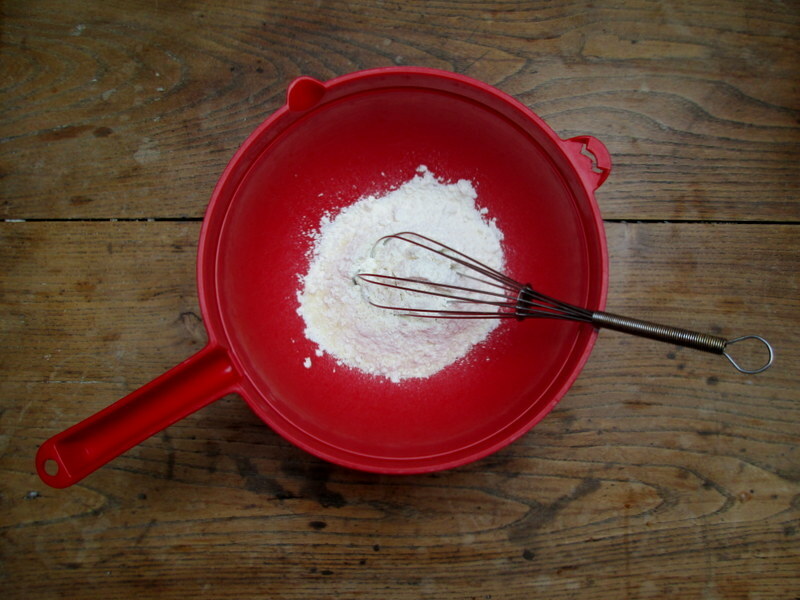 Whisk or sift together your dry ingredients. 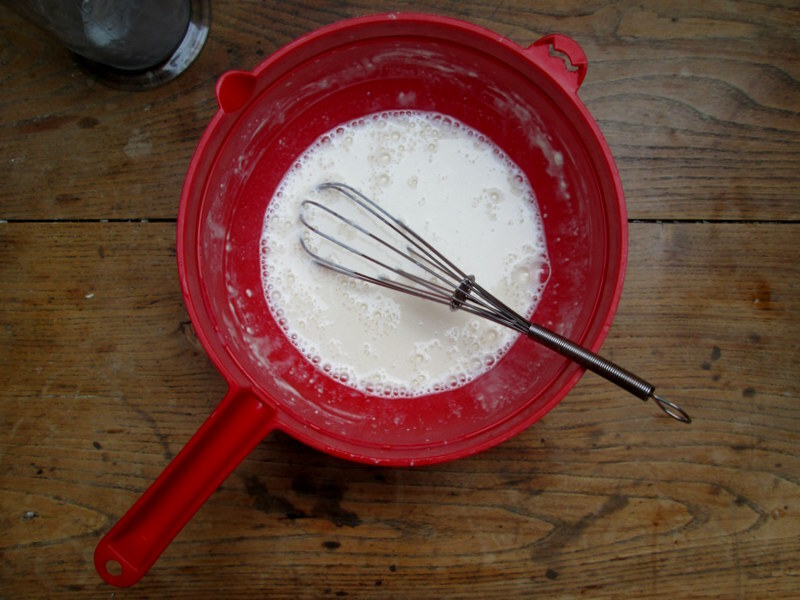 Add the beer and milk a little at a time, whisking well to make a thick batter. 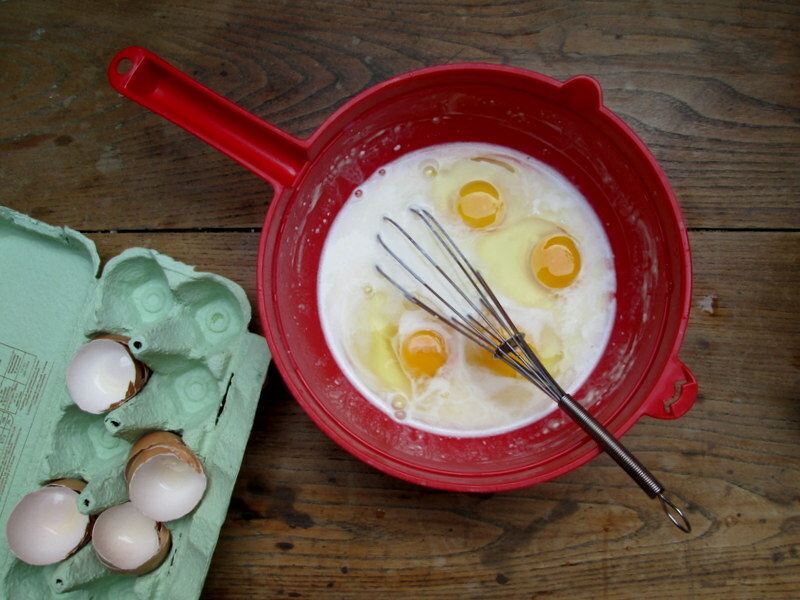 Whisk in your four eggs, followed by the two tbsp of oil, whisking until you have a smooth, thin batter. 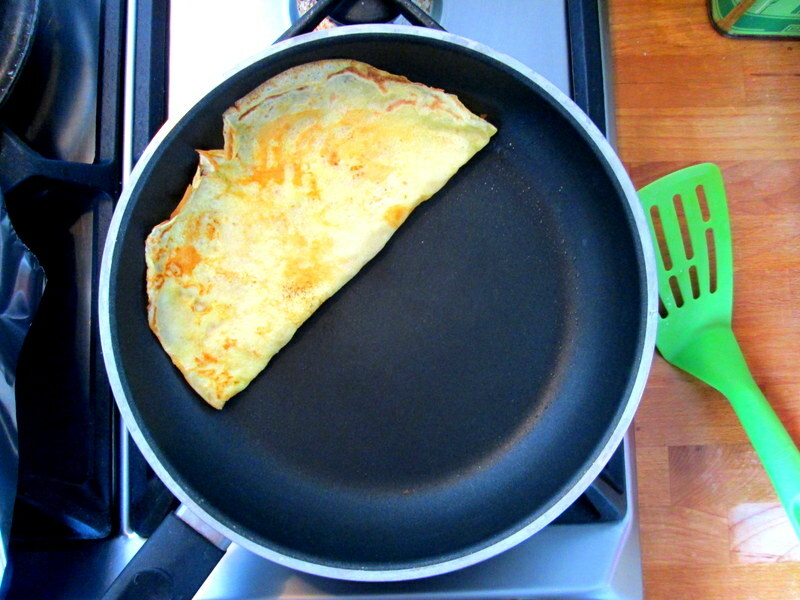 Leave to rest for about 30 minutes (I have skipped this step before, but if you have the time/patience to wait, letting the batter rest really will make for thinner, more even pancakes). 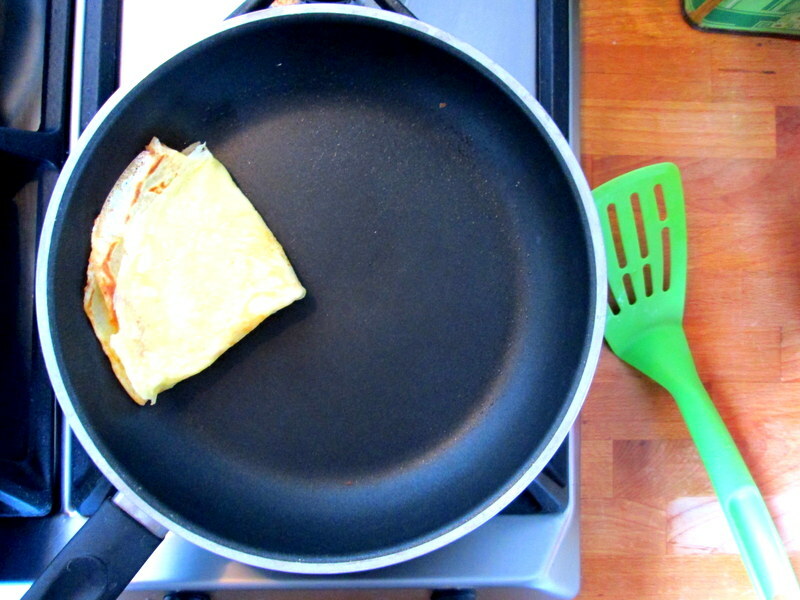 Heat up your pan (or pans) over medium to high heat, and add a nubbin of butter. 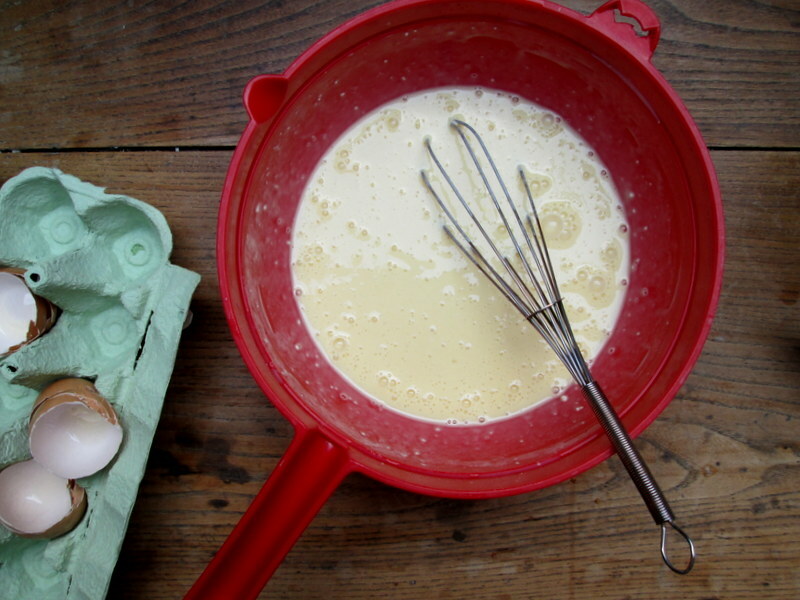 When the butter starts to foam and brown slightly, pour in a scant ladle-full of batter (this will, of course, depend on the size of your pan and ladle! 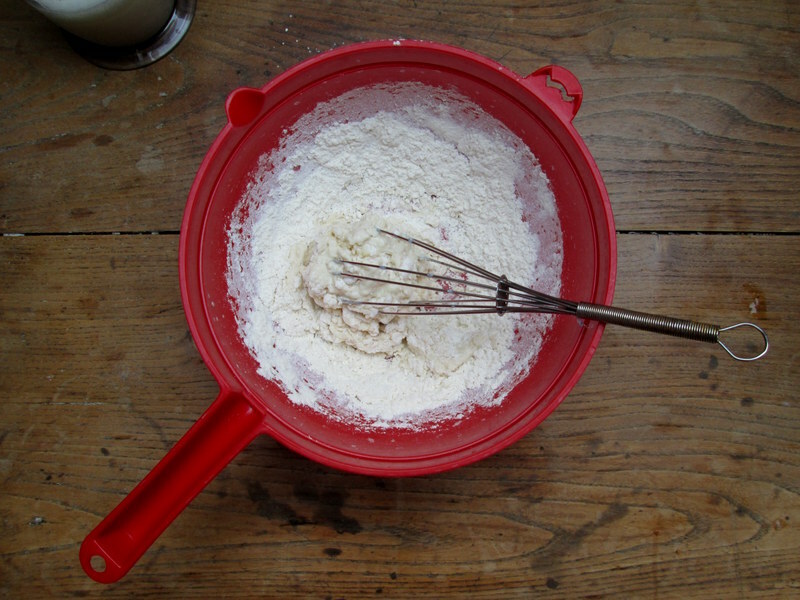 But aim to use as little batter as possible to cover the base of your frying pan), swirling the pan around to spread the batter. If there are any little holes, just drop little droplets of batter to fill these. 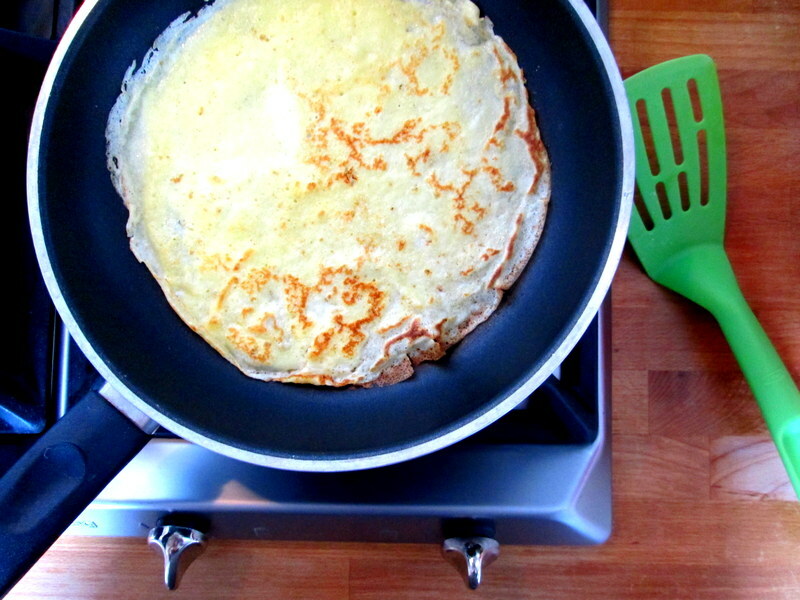 After about a minute, when the pancake starts to bubble up and brown around the edges (lift the side up to check! ), flip it over and let it bake on the other side for about 30 seconds to a minute. 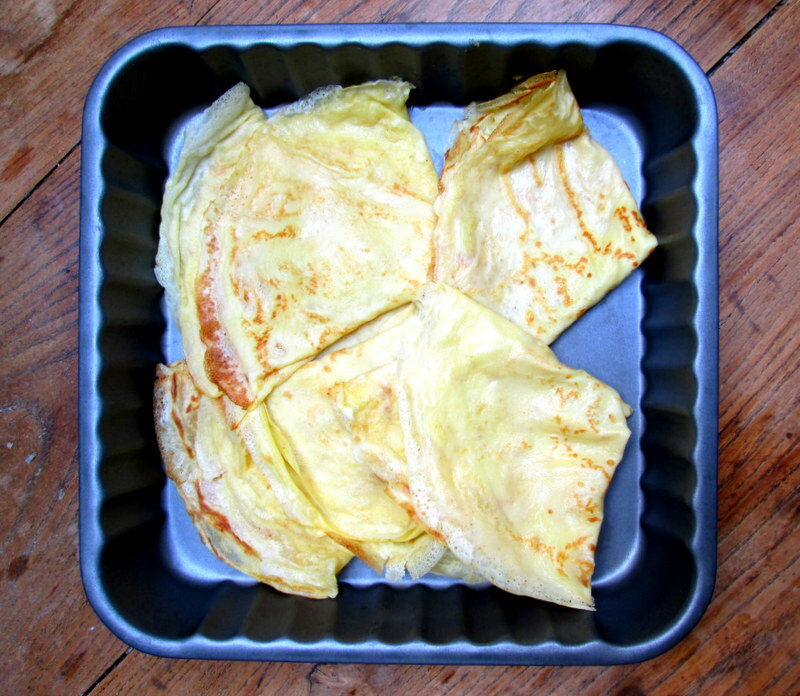 Place in a dish and cover with tin foil (you can leave the covered dish in the oven at 100˚C, to make sure the pancakes stay warm but don’t crisp up, or just make sure you tuck the tin foil in well around your dish after adding a newly baked pancake), and repeat.